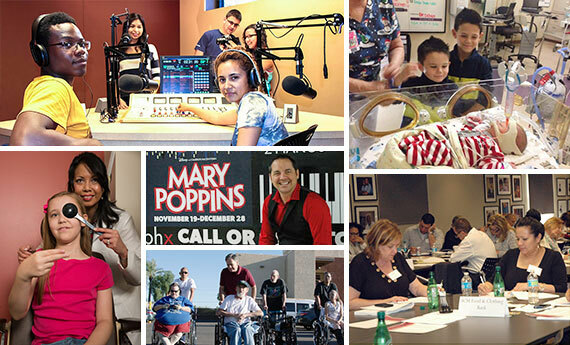 Virginia G. Piper Charitable Trust supports organizations that enrich health, well-being, and opportunity for the people of Maricopa County, Arizona. Piper Trust concentrates its efforts in six areas: healthcare and medical research, children, older adults, arts and culture, education, and religious organizations. Browse grants by area below. A Direct Charitable Activity (DCA) is a program or project that Piper Trust initiates itself to address a complex social challenge. DCAs often involve long-term investments, collaborations, or targeted efforts to fortify organizations focused on solving the specific challenge. Select examples of Piper Trust’s DCAs are below. Direct Charitable Activities paid in FY15: $1,345,034 and FY16: $1,159,162.